Gymate Health Club Gym Management Software provides easy management of customer data, feedback system, handling walkin system, online calendar and many more. Designed to fit clubs of all sizes, this gym software is feature-packed. With a full booking system, point of sale, website integration, direct debit integration, a mobile app for trainers, online booking for clients, and 24/7 door access control, Health Club Gym Management Software has all you need. No Problem. Just hit the Signup button and you can get an access of your copy of Gymate tailored for your needs. 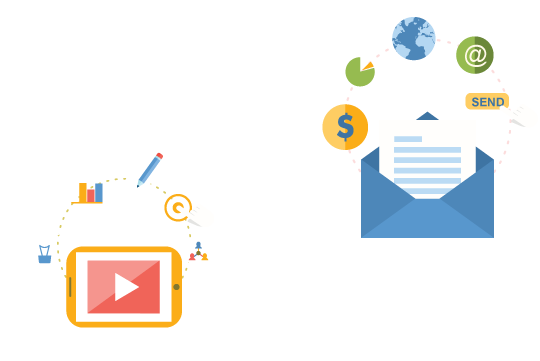 Stay your customers informed with real-time SMS and Email push system. Update your customers about renewals, new offers and event cancellations. 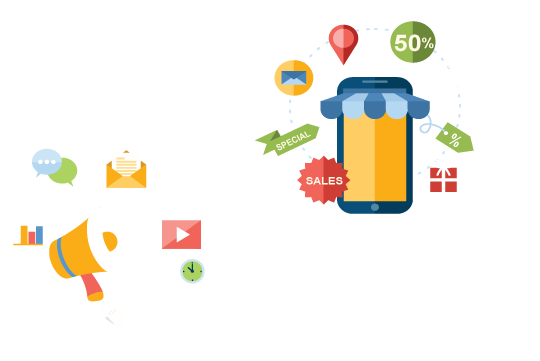 Now, increase your sales with tracking every walkin and turn them into customers with followups. Know their interest and turn every walkin into customer. You can now track your gym daily operations with dashboard and yes, our gym software has numerable reports which can be exported in excel and PDF. Update your customers and employees with SMS and Email. Update your customers with renewals, birthdays, anniversaries and send them important news on SMS and Email. Our solution is hosted on Amazon So, its secured and available to you and your members 24/7 round the clock. Software is backed up with a backup system. Personalize your gym experience with your customer by managing their birthdays and anniversaries with our software. Send them a email or sms on their birthday or anniversary. Yes! With our software you can manage employees payroll as well as attendance. You can also manage their advance and can put fine on their payroll. Track Member Renewals easily with our interactive dashboards and reports. You can also track SMS and Email Reminders for a customer. Feedback from members is important and with our system you can take their feedback and track members with good and bad feedback. Looking for special features in the software? No Problem! We accept special features request from our customers that can be included in the software. Yes, you can manage your gym programs and fitness camps. You can also take walkins and register members for your gym programs and fitness camps. Increase your gym branding with customizable receipts and invoices. Also, you can manage payments and dues with our payment system in the software. Now, Track your customers attendance easily. Our gym software is purely integrated with bio-metric and barcode card system. So, you can easily track their attendance. You can maintain records of your customers and can send them offers when they are not actively connected to you. This means you are in your customers mind. We have included this option where you can generate BMI Index and Diet Chart of your members during the registration. So, that you don’t have to manage separately. Now your customer can stay connected with you.Using Gymate mobile app customize for your GYM and guess what the mobile app comes with no extra cost. LETS SPEAK ABOUT YOUR TAILORED GYMATE SOLUTION.